Elected Official. Currently the term is for one year so it expires as of Town Meeting Day in any given year. If the Town Clerk should resign or pass away during their term, the Select Board may either appoint someone to fill the remainder of the term or call a Special Town Meeting for the purpose of electing a new individual to fill the remainder of the term. The office is in the Townshend Town Hall and the office hours are Monday, Tuesday, Wednesday, and Friday, from 9:00 AM until 4:00 PM. The office is closed on a variety of holidays. The office may be staffed by an assistant instead of the Town Clerk. To clarify, the Town Clerk is only, officially, a keeper of records though, in Townshend, like many other communities in VT, they are the official that one will interact with most frequently in town. The Town Clerk is also the principle election official, Clerk and a member of the Board of Civil Authority, and a member of the Board of Abatement. The Town Clerk does not oversee other officials or employees other than the appointed assistants. As noted in the VLCT description of job duties, the Town Clerk will pass along any information that they are given for things which are outside of their jurisdiction but, beyond that, they have no involvement or authority. They are simply the messenger. In most cases, the major positions / boards in Townshend have their own contact / extension numbers and email addresses so it is really a waste of everyone's time to contact the Town Clerk when one can contact the necessary parties individually and directly. The Town Clerk’s Office in Townshend is small (square footage) compared to many in Vermont, as is the vault. It is not air conditioned. At times it can be a very busy and crowded place which can be inconvenient for both the clerk and people wanting to do research or conduct business. It is always best to walk into the office / call the office with a positive attitude and respect for the fact that you may not be the first person in line or that your phone call will be at the top of the priority list. Many times, you are just going to have to wait. Patience is a virtue and a smile and a pleasant attitude will serve you well. Please note that there are fees associated with many services. Many of these are set by The State Of Vermont who takes their cut, others are fees which are regulated by The State of Vermont such as research time fees, copying fees, etc but do not contribute money to State coffers. There are also rules regarding the conduct of business and, especially, the handling of documents, in particular, the very old ones. From the VT Secretary of State’s Office, quote: “A public agency may make reasonable rules to prevent disruption of operations, to preserve the security of public records or documents, and to protect them from damage.” Also be prepared to present proper ID as many of the services will require positive identification. Search through the land records or do genealogy research. 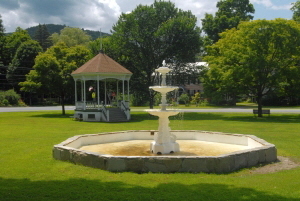 Obtain a marriage license if you are from outside of Vermont or one of the parties is a resident of Townshend. If you are Vermont residents, one of you must be a resident of Townshend. Register your vehicle if you have the current renewal in hand. Obtain a hunting or fishing license. Pay your property tax bill. Get a copy of a marriage, birth, or death certificate but only if those events occurred in Townshend. Sometimes Town Clerks will share information but your best bet is to go to the Town Clerk in the town where the event occurred. IE: If you were born in Brattleboro, the best thing to do is go see the Brattleboro Town Clerk. If the event occurred out of Vermont, forget it, don’t even ask. IE: If your parent passed away at Dartmouth Hitchcock in NH, there will be no record in Townshend. Get a copy of your property tax bill but only if you do it yourself or send in a properly registered agent. Register your dog. Must be done annually by April 1. You must have a valid rabies vaccination certificate on file or in your possession. Neutered / spayed, $9. Late fee, $2. Not neutered / spayed, $13. Late fee, $4. Purchase Townshend specific garbage bags, $3.50 each, as well as bags specifically for compost (free) as well as get a compactor permit (free). All are necessary if you wish to use the Townshend Compactor. Obtain a burn permit or get information on burning restrictions.